Ever see an amazing blouse, fall in love, then see the price tag and immediately after you're disappointed? Me too, girl. I have an unbelievable knack for choosing the most expensive item on the page, without even seeing the price. You see something cute, and without noticing - you're then looking at an $800 top. Yikes. Through trial and error, I've found a lot of great sites to get that high end, designer look for less. One of those sites? Chicwish! Believe it or not, I'm still wearing this top from this post way back when.. time sure does fly! I wore this outfit on our first night in Miami, and had so many girls come up and ask where I got it all from. 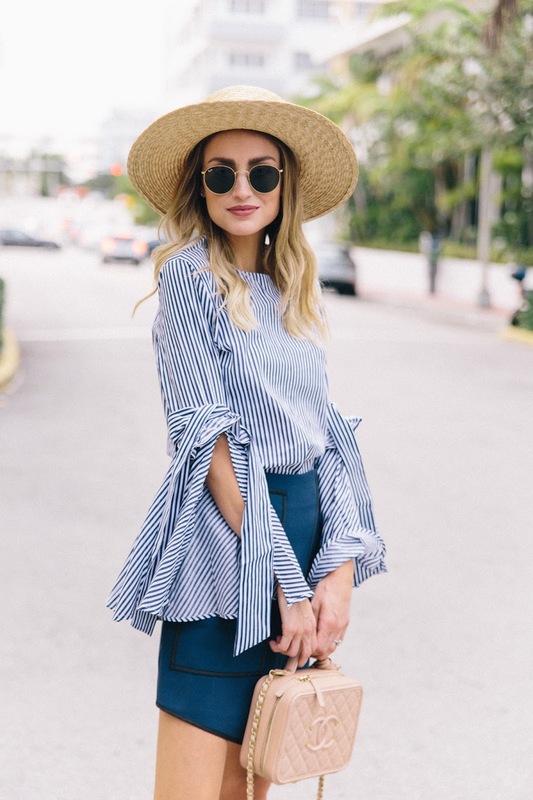 When you wear a statement piece like this blouse, stick with a less vibrant color/pattern. This will give more of a classic, and effortless vibe. You can then style it again with a pair of skinny jeans for something more casual. 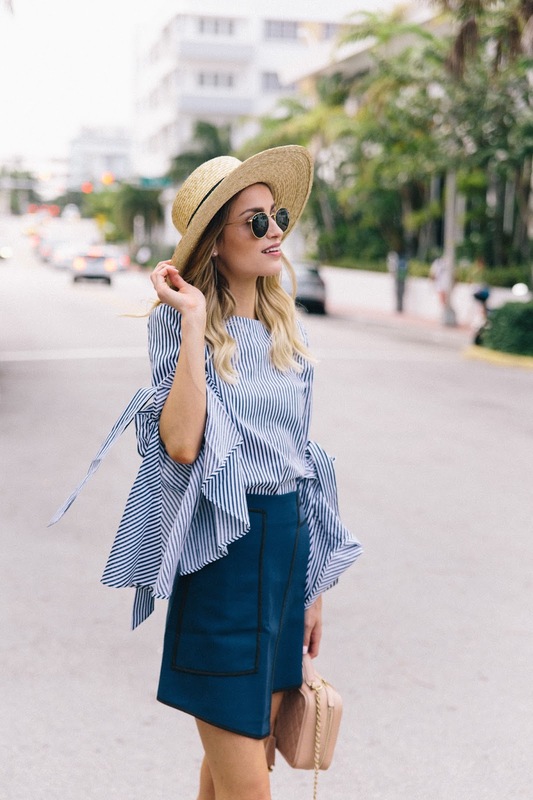 Since we were at the beach, and the weather was so nice, I went with a chic, little skirt and topped it off with a wide brim hat and my classic Chanel sling backs. What are some of your favorite places to shop online for affordable fashion? In partnership with Chicwish. Thoughts and opinions are always my own.